Naming a star is a special gift that a friend or loved one isn’t likely to forget, as long as they can locate it in the sky. Unfortunately, it’s easy to forget about the star if it can’t easily be located with the naked eye. 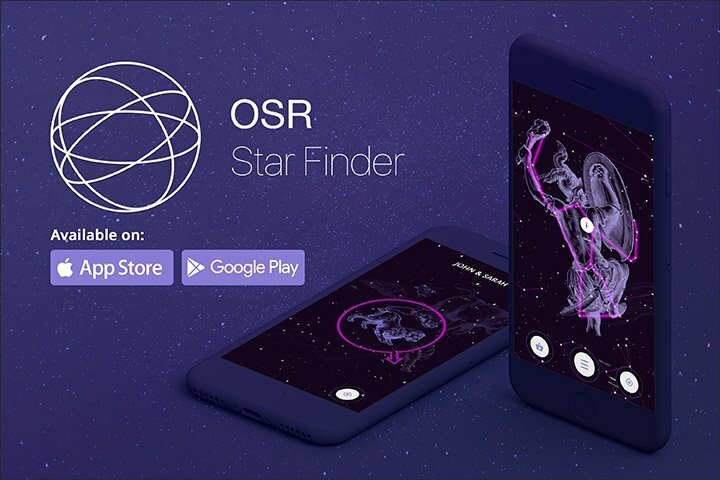 Instead of stepping outside and making a guess, OSR makes locating the star in the night sky a breeze with the Star Finder App. 1 What does the Star Finder app do? 2 Video: how does the app work? 3 How do users like the Star Finder? What does the Star Finder app do? Simply aim your phone at the sky and the app will locate the star based on its unique OSR Code. Share a photo of the star, or navigate to the personalized Star Page. Learn more about the star’s cosmic neighborhood and explore other stars and constellations in the area. Locate the star during the day by switching on Night Mode. You can also switch the Augmented Reality-mode on and off. Adjust the filters so you can view planets, the moon, and the horizon. Learn what time of year your star is most visible. Input your exact location so you can find the star in relation to your position to the night sky. 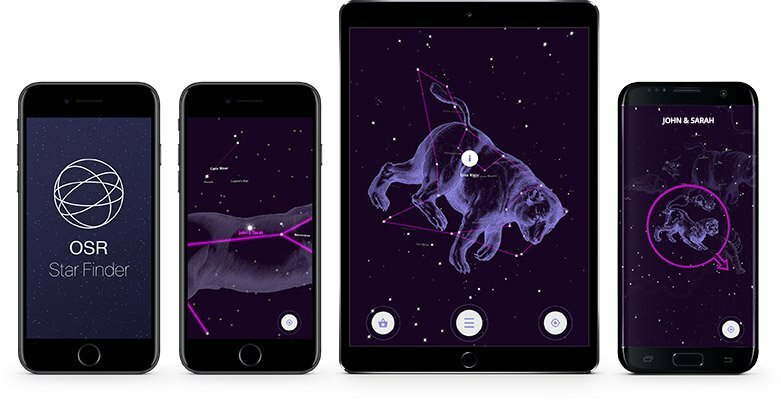 Find out which constellations are currently visible from your location. The best way to understand how the app works is to experience it. Simply download the app and enter the OSR Code LPR805246 to view an example of a named star! How do users like the Star Finder? If you decide you’re ready to name a star for someone special after browsing stars in the sky, you can do it quickly and easily with the app too. Although the app is only available for Apple devices, an Android version is planned for release sometime in the near future. If you’re looking for an unbelievable gift, it really doesn’t get any better than a registered star with the Online Star Register. If you’re ready to name a star for a friend, family member, or co-worker, learn more about the gift packs we have to offer. Don’t forget to check out our themed gifts that are available for a variety of special occasions!